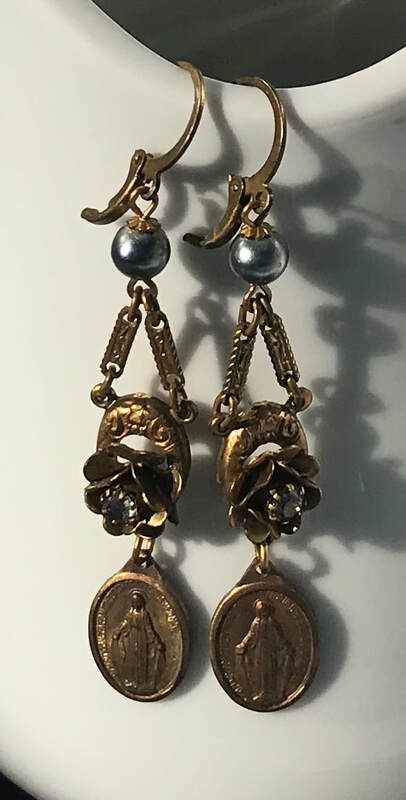 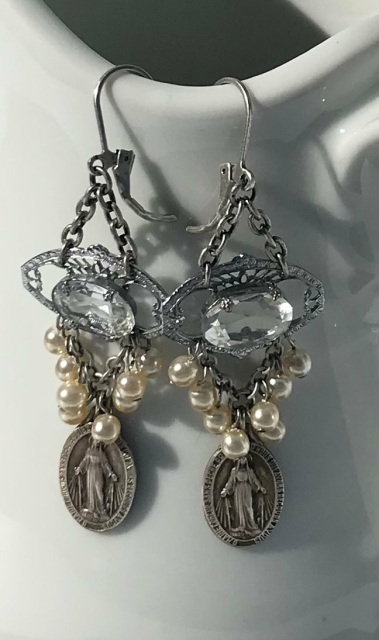 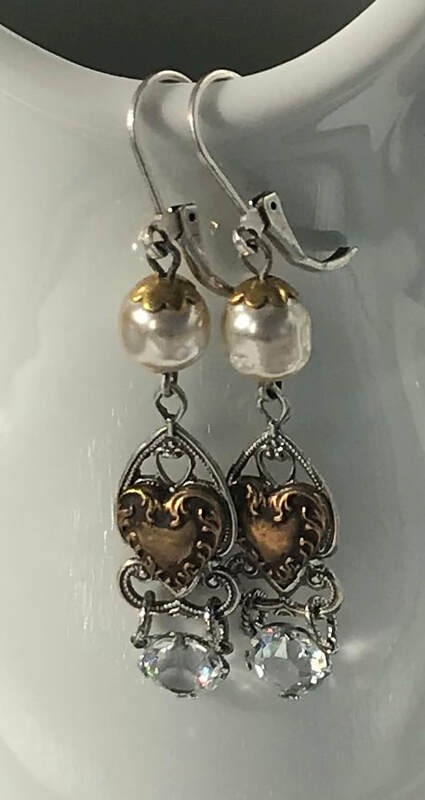 Vintage brass Miraculous Mary medals, brass flowers, petite brass oval hoops, gray glass pearls, brass earwires. 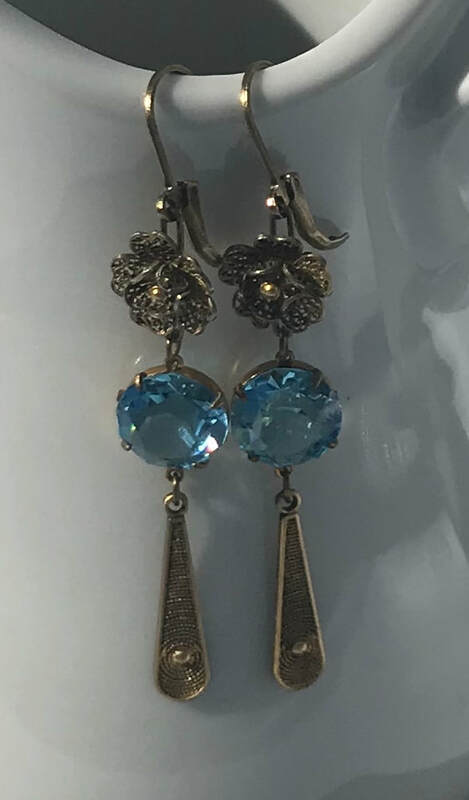 Approx 2 1/4" long. 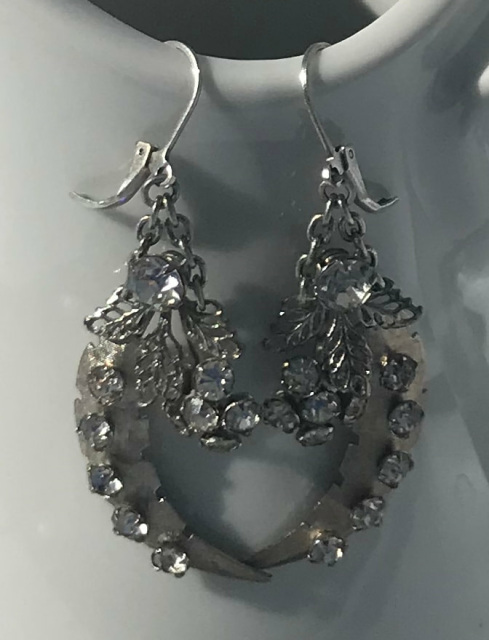 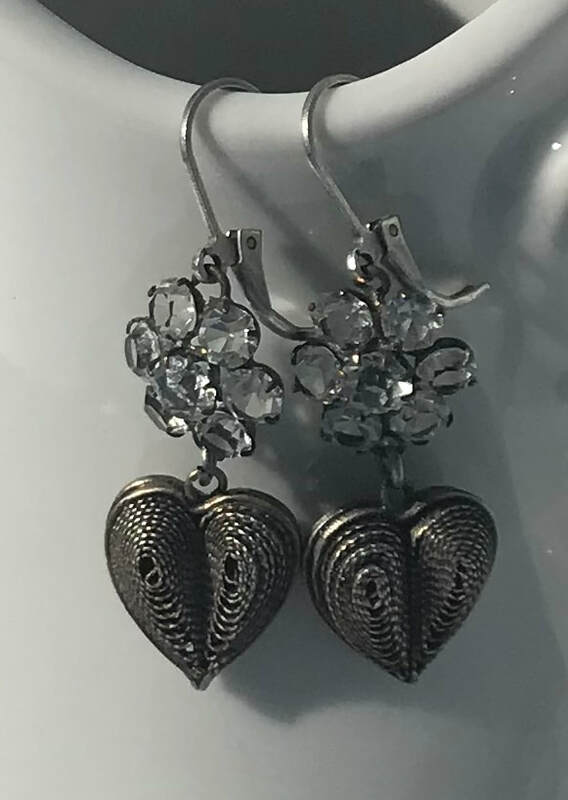 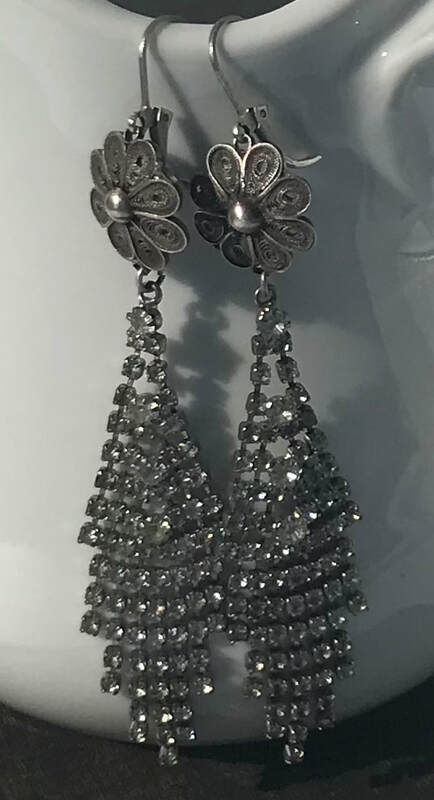 Vintage sterling filigree flowers and sparkly rhinestone drops. 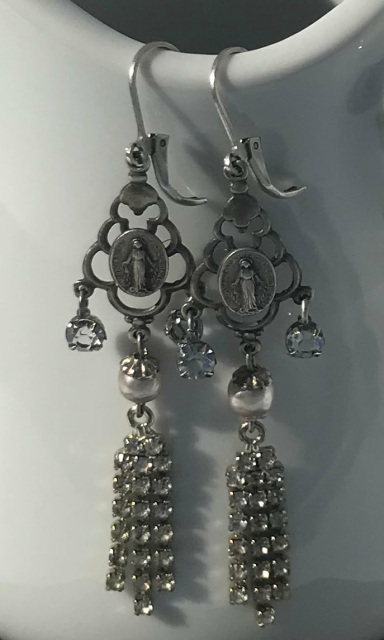 Approx 3 1/2" long. 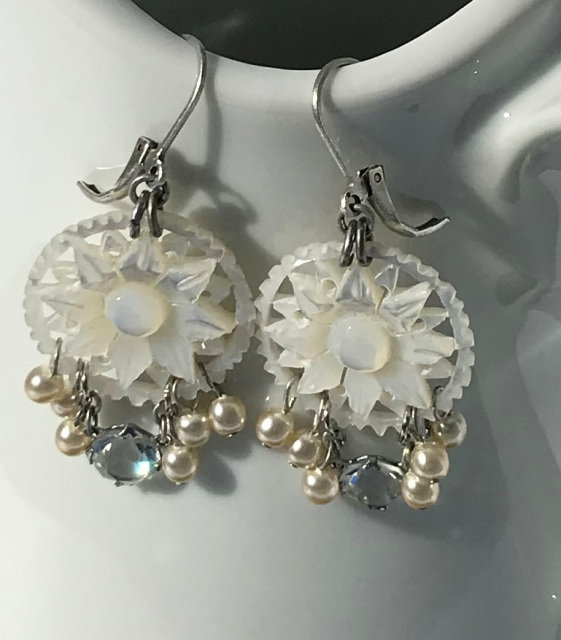 1940's hand carved mother of pearl stars, 1920's Art Deco cut crystal drops, vintage glass pearls and sterling plated brass earwire. 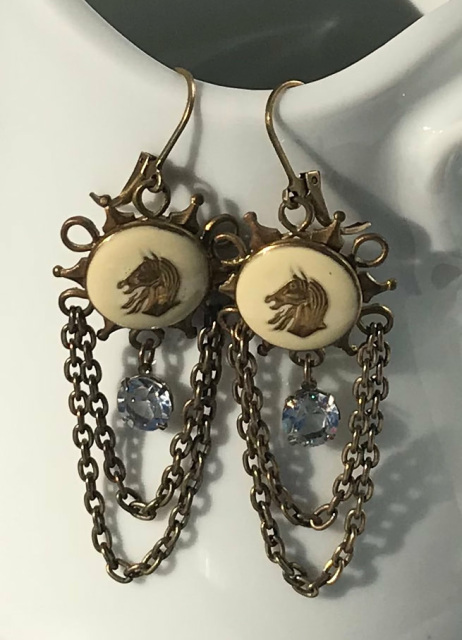 Approx 1 1/2" long. 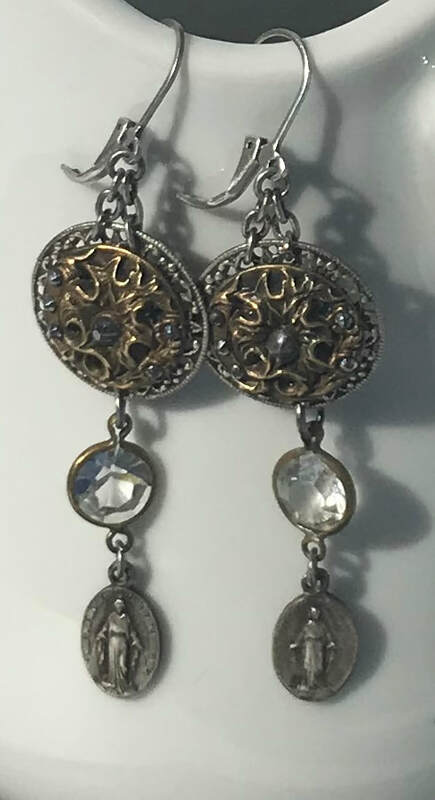 1930 Art Deco Czech crystal links, vintage French medals and glass pearls, sterling plated brass earwire. 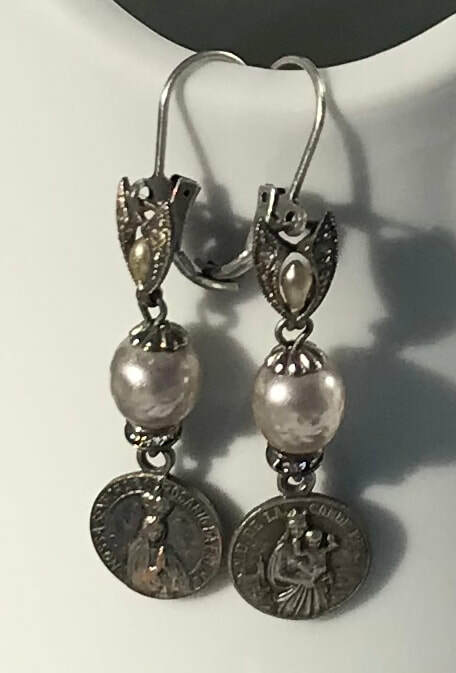 Approx 2 1/4".